Nothing Stops Me. Except a Train. My training for the half marathon is now on high gear. 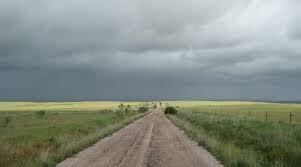 Neither the heat, nor rain, nor flood, nor snow (snow? good thing there’s none yet at this time of year) can stop me now. Except maybe, the train. And that’s exactly what happened to me at the race here in Des Moines, last year. During my first half marathon run last year, as I was rounding the last leg of the course, when I turned the corner for the last 400 meters, I was stopped on my track by a crossing train. I have to wait for about a minute or so before I can continue and finish the race. A minute of delay is nothing to me, but I felt bad for the leading runner for the marathon, an elite athlete, who was finishing the full marathon course at the same time I’m finishing my half marathon. (The full and the half marathon ends at the same finish line). He too was stopped by the train. 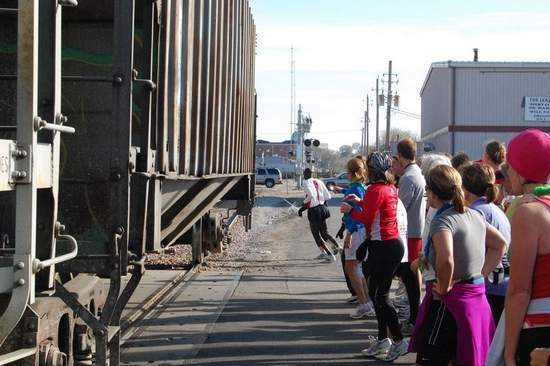 Simon Sawe from Kenya, was stopped by a train, but still able to finish first at the 2009 Des Moines Marathon. Photo courtesy of Des Moines Register. Speaking of elite runners, I just cannot imagine how can they run a dizzying pace of 11-12 miles per hour (twice as fast as my pace) and sustain it for 26 miles. That’s a full pledge sprint speed to me! I tried running at 8 miles per hour and I cannot even sustain it for half a mile. I have so much respect for these amazing athletes. I may not acquire the athletic prowess of those elite runners, but I can sure have the iron resolve to finish the race. For “The race is not always for the swift, but to those who keep on running” – Anonymous. And this is true in the race we called life. I believe that life is not a sprint, but more of a long distance run. We may falter, fall, or slow down to a crawl. But if we keep on going, we will reach our destination. I know there’s only one way I can finish the race: to keep one foot in front of the other at a time. And that’s what I will do. Read your Mla Standard column about leaving home and Florante’s advise. You may not know it, but Florante himself has left the country. I guess he did not follow his own advice.